Many inquiring minds want to view the Bible in a new way. 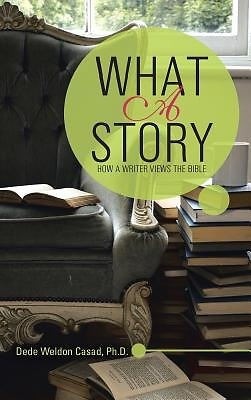 What a Story looks at the Bible from the perspective of one interested in the explosion of literary genres, personalities, and types of stories. From Adam and Eve to Jesus and Paul, there is fiction and nonfiction, history, biography, mystery, and love stories, along with parables, oracles, metaphors, allegories, and apocalyptic, intellectual mazes. From the writer's point of view, the Bible is the greatest story ever written. From the reader's point of view, it is the greatest story ever read, and from the world's point of view it is the greatest story ever told. God, through his creative imagination, wrote a masterpiece.